Door-to-door campaigning is all the rage in this year’s election. German parties have developed data-driven mobile platforms to help target voters and bolster their future canvassing strategies. Schlepping up and down a ten-story apartment building to distribute flyers may not feel like the digital revolution. Yet Germany’s biggest political parties have revived door-to-door campaigning as a central part of their efforts at tech-driven strategies this year. They hope new mobile apps will help them knock on the right doors to get their supporters to the polls. Campaigners are logging not just miles as they trek from home to home, but also data. The information they are collecting could change the future of campaigning, and make September’s federal election the last of its kind. 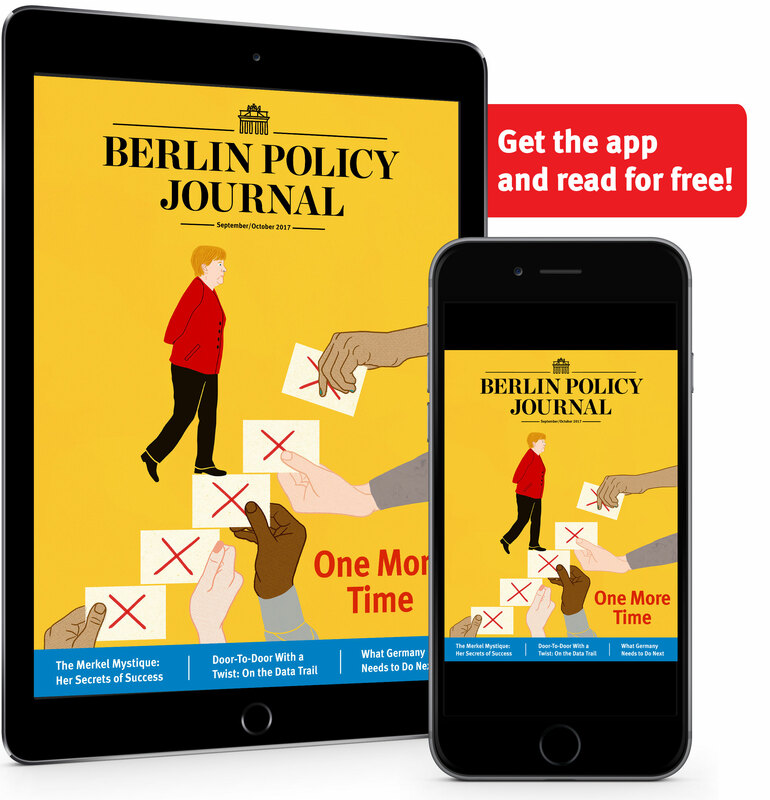 Both of Germany’s two largest parties, the conservative Christian Democrats (CDU) and center-left Social Democrats (SPD), are employing new phone apps to help identify supporters as well as lay the groundwork for more focused voter-targeting in future elections. The CDU has led the charge with an app called Connect17 that allows volunteers to add demographic information about whomever answers the door. The SPD has tried to catch the tech wave with its own initiative, Kampa17. In Berlin’s Mitte neighborhood, 20-year-old Jonathan Packroff from the Kampa17 team joined volunteers clad in red shirts to ring bells in a gray, cement-block housing development dating back to Berlin’s communist past. The SPD’s local candidate for the neighborhood, Eva Högl, offered a pep talk before they set out in pairs, preparing to tick boxes about who opens the door and what matters to them most. Packroff said he has worked many traditional SPD events in the past, manning information stands outside supermarkets, for example. But he had never gone straight to voters’ doors. “This year everyone is doing it,” he said. He and his partner nervously discussed what to do about the buzzer to get into the building; how to pitch over an intercom had not been covered in their briefing. Both the CDU and SPD say their goal is to make brief, in-person contact with potential supporters rather than engage in policy discussions or change minds. Their mobile platforms help guide volunteers through conversations intended to remind people to show up at the ballot box on election day. The apps also help the parties glean information about voter preferences. The CDU’s Connect17 is widely seen as the gold standard in campaign apps. After volunteers knock on doors and speak to residents, they record information about their encounters at specific addresses. They then use the app to log residents’ gender, estimated age, and how amenable they are to being solicited by the CDU. The last, subjective rating is communicated back to headquarters using a frowning, neutral, or smiling face. Connect17 has also gamified campaigning. Volunteers win points each time they add demographic information to the app, with the most dedicated rising to the top of designated leaderboards. They can boost their scores by sharing party-related news on their personal social media accounts as well. The SPD’s platform, meanwhile, is more focused on identifying which policies are most important for voters. The Kampa17 website provides a series of questions to ask voters during door-to-door campaigns, including how they prioritize issues such as education, healthcare, or the economy. For both parties, the apps help steer campaigners toward streets where they might find pockets of support. Before using data to identify these neighborhoods, campaigners ran the risk of antagonizing – and potentially mobilizing – opponents by showing up on their doorstep to remind them to vote. Now, the parties can build a far more detailed database for their headquarters. Many in Germany’s political circles admired US President Barack Obama’s 2008 presidential bid as a model for how to run a successful campaign using data to target voters in key areas. Nearly a decade later, German campaigns are still far behind the United States in this regard. Privacy laws prevent campaigns from purchasing the same detailed information on voter behavior that is available in the US. The public data they have cobbled together is still relatively scant, and German data firms lack experience in how to best employ it. “There are not that many resources to pull from for the same kind of smart, targeted approach that you could do in the US,” said Julius van de Laar, a political consultant who has worked on campaigns for both Obama and at the national level in Germany. 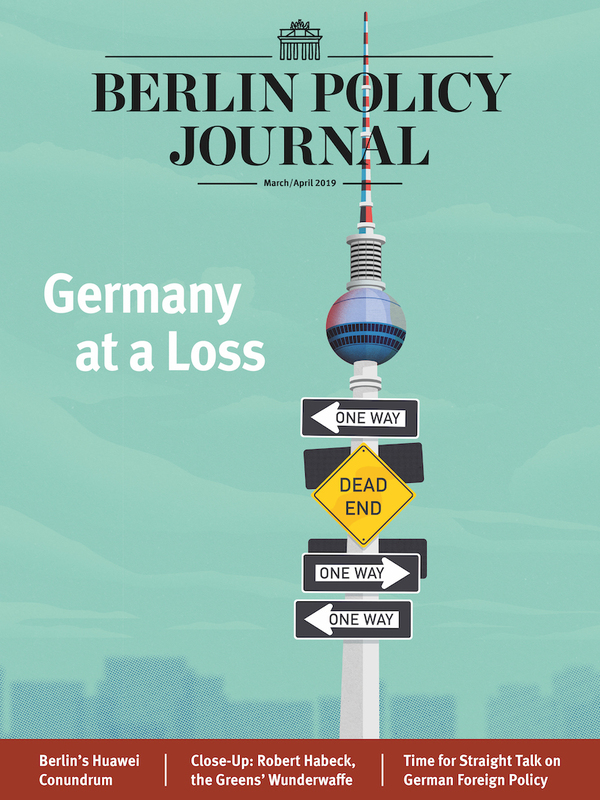 Germany is playing according to a different set of rules when it comes to money and time; smaller budgets and a shorter campaign cycle make it a far less comprehensive effort than the American example. German elections are strictly limited by finance laws, with the biggest parties allowed to spend roughly €20 million each on their entire campaign. By comparison, the much-lauded wizardry of Obama’s 2012 micro-targeting was part of an overall campaign that cost $775 million (€650 million). The timeframe is also more limited in Germany, with just six weeks of campaigning compared to at least a year in America. Simon Hegelich, Professor of Political Data Science at the Technical University of Munich, has studied how campaigns use data in their canvassing. He says parties are forced to use untestable models based on publicly available information as household level information is not available due to privacy laws. Despite this limitation, he thinks the two main parties’ new campaign methods could help solve at least one of their problems. Still, all the micro-targeting in the world will not help a campaign season that stretches over a six-week period in late summer. 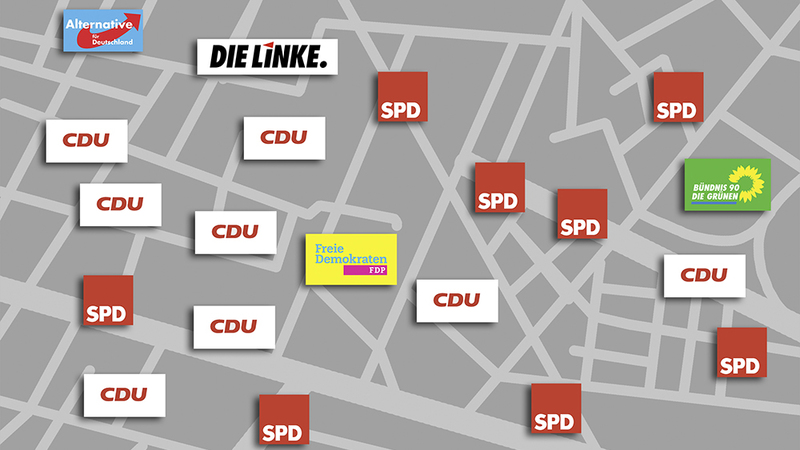 Despite knocking on dozens of strategically-selected doors on a weekday afternoon in August, SPD campaigners in Berlin found that almost nobody was home. is a multimedia journalist for Deutsche Welle News.